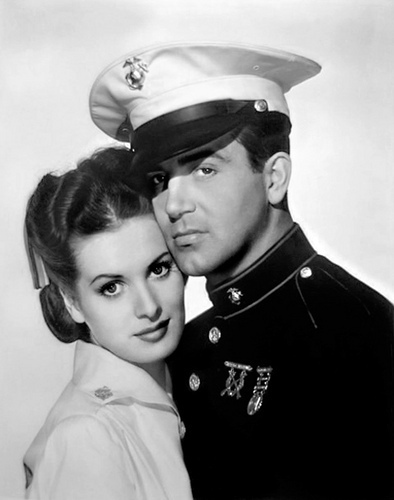 Maureen O'Hara & John Payne. . Wallpaper and background images in the Filmklassiker club tagged: classic film movie classic movie actress maureen o'hara john payne. This Filmklassiker photo contains uniform, regimentals, green beret, besondere kräfte, elitesoldaten, grüne barett, spezialeinheiten, elite soldat, elite-soldat, kleid blues, kleid weiß, and kleid-blues.